Two updates in one week? All the better to keep you informed. Read on to see what has gone on in the last few days. 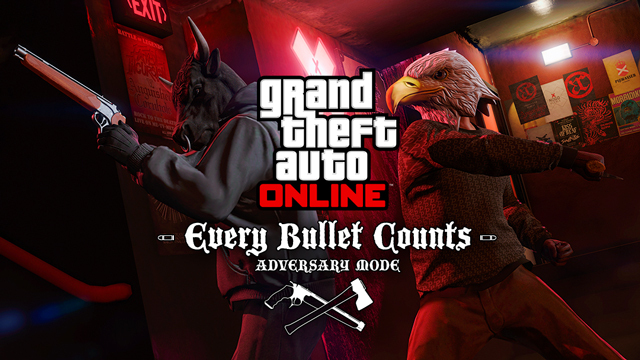 A new multiplayer mode has been released for GTA V called Every Bullet Counts. This mode pits you against three other players and all you have at your disposal is a melee weapon and two rounds in a pistol. There are four maps in this mode with each of them being tight corridors. If you’re up to the challenge then give it a try now. And there’s still more. A new title update will add the Executives and other Criminals pack for free on December 15th. This pack will let you become the leader of a criminal organization and gain access to mansions and super yachts. It will also include new cars, including a limo with a turret, as well as other transportation. To see everything you’ll get checkout the trailer. Earlier this year Ubisoft released the first of a trilogy of side-scrolling Assassin’s Creed games called Assassin’s Creed Chronicles: China. We now have the release plans for both the India and Russia games. India will be coming up first, releasing on January 12th, 2016. Here is the synopsis about it from Ubisoft. One month later, on February 9th, you’ll be able to get Russia. Here is that games’ summary. Each game will be available for $9.99 on release. If you haven’t purchased any of them yet then a trilogy pack will be coming on all platforms for $29.99 February 9th. This pack will be available for both digital or disc purchase. Need for Speed has gotten another update, this time it’s quite large. Along with several tweaks to the game mechanics is a long list of new music and skins coming to the game. Several songs from past games as far back as the original Need for Speed have been added. You’ll also have access to the designs of some of the iconic cars from Underground, Underground 2, Most Wanted, Carbon and Pro Street. There’s also an entirely new challenge series based around the return of Eddie, as well as some new achievements. All of this was in a title update that released Wednesday, so those of you that own the game can see it for yourself now. If you don’t own the game then watch the trailer to see if it catches your interest. If you participated in the #DrinkForDLC campaign for Dying Light then this is what you’re looking for. Techland will be releasing a new DLC featuring water. First, you’ll get a new weapon blueprint for throwing water 2.0, if that makes any sense. Next is a new quest to find the Fountain of Youth. And finally is two new water-themed parkour challenge maps. Best of all, it’s free to all current players. It will be available on February 9th. The video contest came to a close and only one person was left standing. ContactTango won the title with a quick triple kill of his sniper rifle. To see the videos submitted, and congratulate our winner, visit the contest thread. If you wanna go fast then this is the joining for you. Neo is hosting an event in the Sparrow Racing League this Saturday at 10PM EST. If you want to sign up then register here. We’ll be reaching the halfway point of the month in just a few days. That means you only have a few more weeks to submit screenshots to the contest. Get to snapping those pictures! Tagged Assassin's Creed Chronicles, Dying Light, GTA V, Need for Speed. « November Community Video Contest Winner!